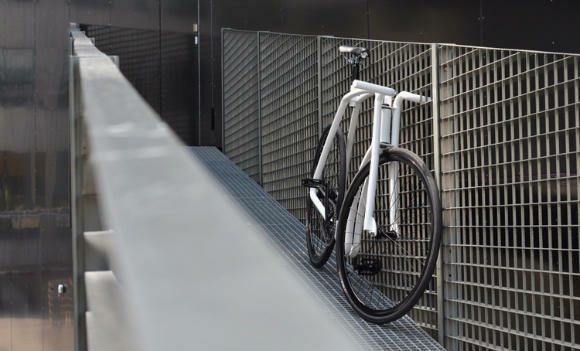 The Viks urban fixed gear commuter bike is made entirely from stainless steel tubes, featuring two identically shaped cylindrical frames to form its body. 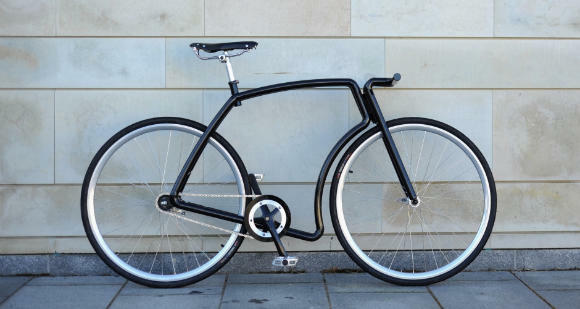 developed by estonian engineer Indrek Narusk and owner of Velonia bicycles, the design of Viks draws styling cues from cafe racer-style motorcycles and classic streamlined aesthetics. 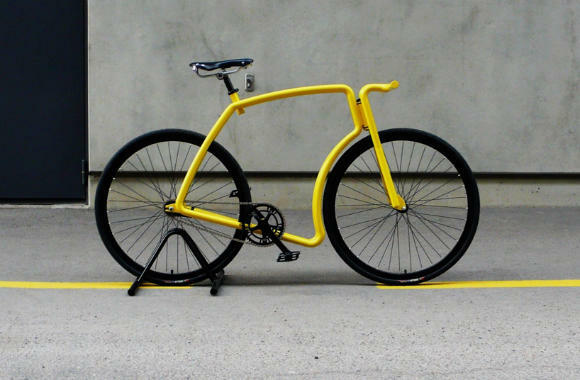 conceived without a seat tube, the overall construction is joined at the head tube and bottom bracket, with the fork and handle bar coming together as a single piece. crowns, dropouts, and welds are all also composed entirely of stainless steel tubes. 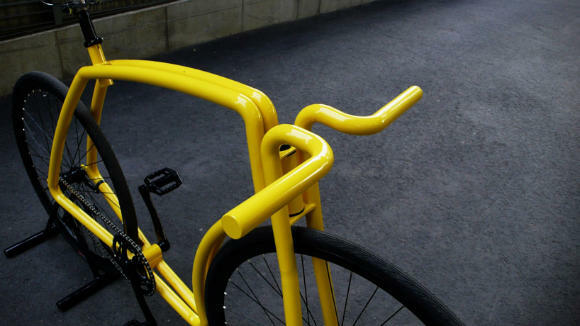 Stainless steel unique frame without seat tube. Two identical tube frames rune alongside the entire fraem. Joined at the head tube, seat tube and bottom bracket. Handmade with sizes built to order. The Viks frame is still in prototype mode. First set of frames are in the production for first customers, with a waiting tie of around 5 weeks. For updates check the page here.